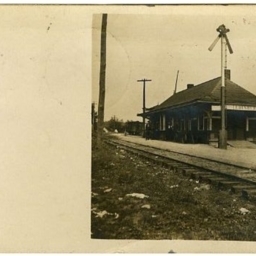 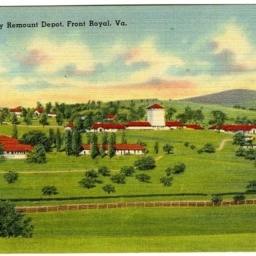 An unlabeled postcard showing the freight depot in New Market Virginia. 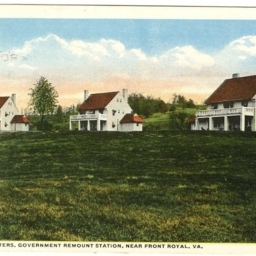 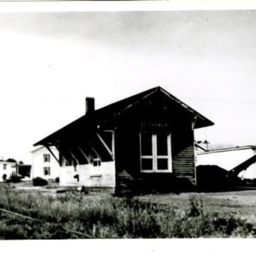 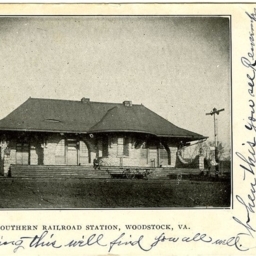 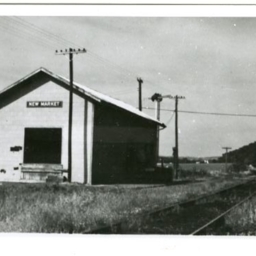 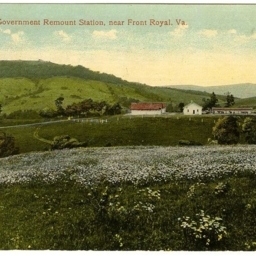 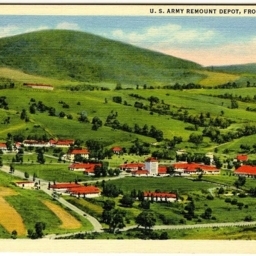 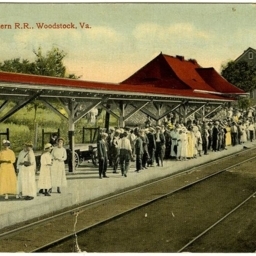 Postcard showing a photograph of the railroad depot at Quicksburg Virginia. 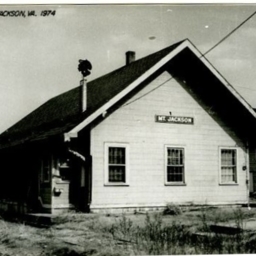 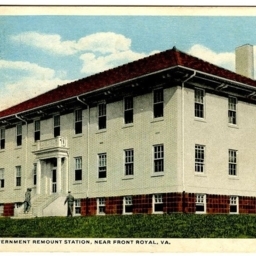 Postcard showing a photograph of the passenger depot in Edinburg Virginia. 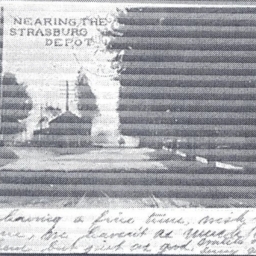 The structure is now located on N. High Street. 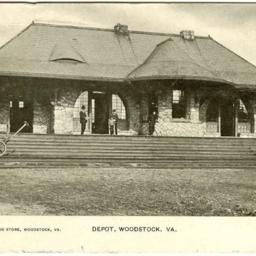 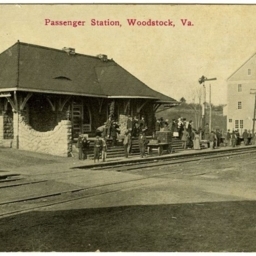 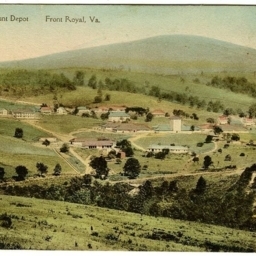 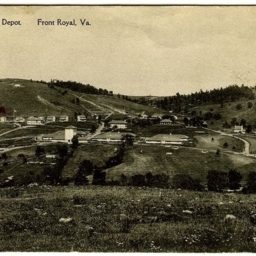 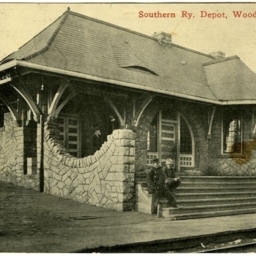 Postcard with a picture of the freight depot in Woodstock Virginia. 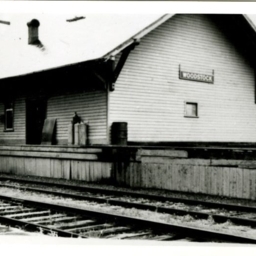 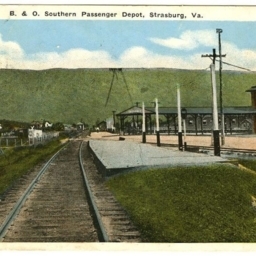 Copy of a postcard with a picture of the Strasburg Depot.